Analysis: Clergy Laity Congress of Tragicomedy? You are at:Home»Governance & Unity News»Governance & Unity Essays»Analysis: Clergy Laity Congress of Tragicomedy? 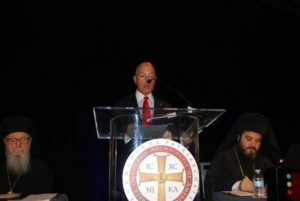 Another Clergy Laity Congress of the Greek Orthodox Archdiocese of America, the 44th in a row, has gone into history, taking with it all that was said and done, especially at the July 5, plenary session, which I think, using the term “tragicomedy” to describe it, is an understatement. 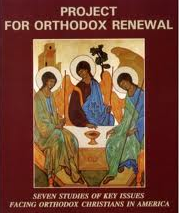 In many instances, the impression that was given was that it wasn’t a Clergy Laity Congress, meaning a synaxis of church-oriented people with “the mind of Christ,” but rather an angry mob dressed in religiosity. I saw a clergy full of pain and anger with the absence of the Bishopric paternity so visible and begging from Archbishop Demetrios himself, who was sitting as a simple observer, speechless, inexpressible, and ignored. Attorney Cathy Walsh, who has been involved in the ecclesiastical affairs of the Archdiocese for many years, was in charge. Also, the rest of the hierarchs were speechless, and they were simply observing the workings, and the screaming makes you wonder if these are the members that constitute the Holy Eparchial Synod, which supposedly is “the mouth of the Church.” Only one, Metropolitan Alexios of Atlanta, dared to open his mouth on the issue of the previous budgets, reminding all correctly that all were voting for those budgets and thus all are responsible; but unfortunately, he was booed by some delegates, clergy and laity. It was, of course, a manifestation of the ethos of the delegates, which was similar to the ethos of that entire cyclone that the Metropolis of Boston had planted everywhere in the role of overseers and security personnel. Where to begin to analyze? Despite the insolent propaganda and spinning of the facts that even Pravda of the former Soviet Union would admire, the resignation of Michael Psaros as Archdiocesan Council Treasurer was the most revealing proof about the state of the Congress. Thus, the archbishop was left with the known cycle of pathetic decoys and defenders, trying very desperately to save himself by trying to present a rosy picture and not in any way linking himself to the harm he has caused to our Church and Greek-American community. Kalmoukos misses the essential point. The GOA cannot operate as an Eastern Imperial entity when it must live and thrive in an accountable, rule of law, American and Western world. 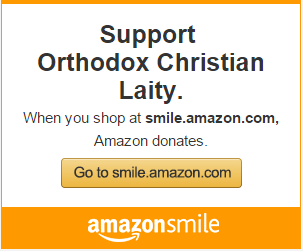 I think it’s not a stretch to state that there’s no Greek Orthodox Church left in America after this summer. It’s done but for the final funeral service to be held in the next 3 to 5 years as For Sale signs pop up in front of parishes that are already drowning.